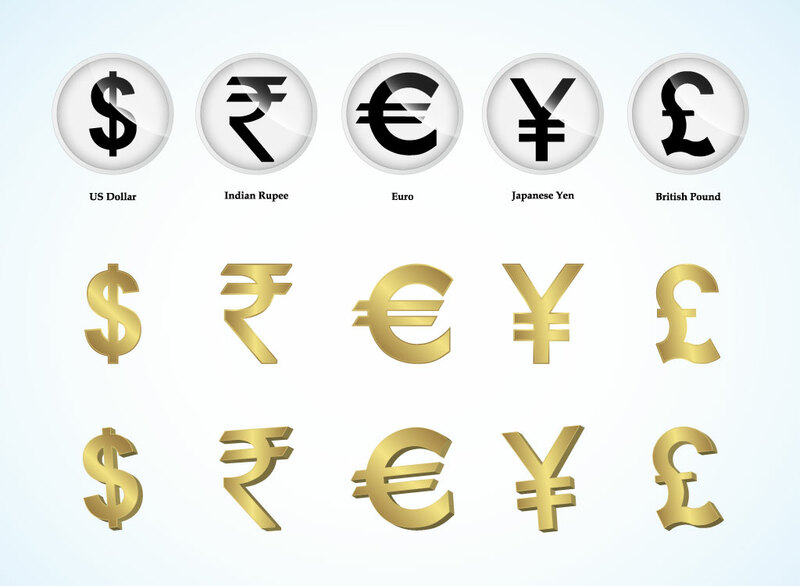 Finance vectors set of five international money or currency symbols rendered in three different vector graphic styles. Symbols include the U.S. Dollar, Indian Rupee, Euro, Japanese Yen and the British Pound. Great icons to use in apps, sales flyers, websites and foreign trade designs. Tags: Banking, Business, Currency, Debt, Economy, Exchange, Trade, Wealth.